Ashton Classic. It's all there in the name itself! This is a simplistic, old-school, no-frills blend that meets the demands of daily cigar enthusiasts with a penchant for class, tradition, and dependability. Ashton (aka Ashton Classic) is hand-crafted in the Dominican Republic, made under the watchful eyes of the world-renowned Fuente family of tobacco artisans. 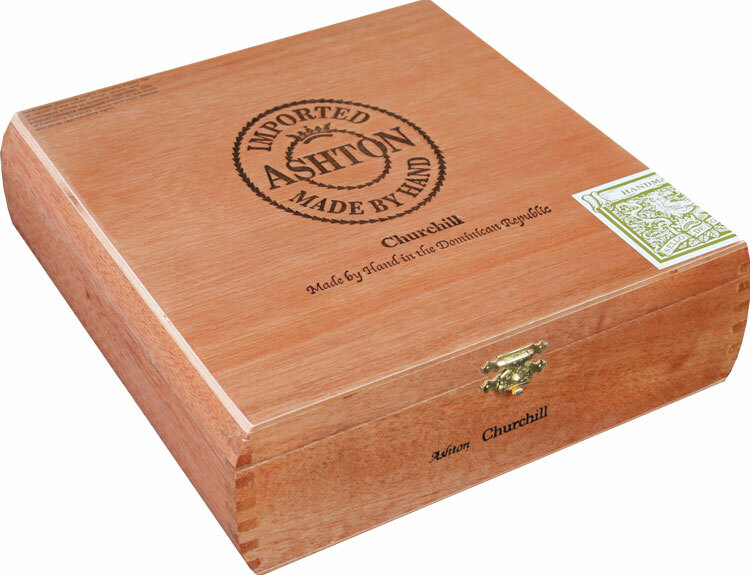 Ashton Classic begins with Dominican tobaccos (grown by the Fuente family) that have been aged three to four years. The Dominican filler/binder recipe is then draped in a flawless Connecticut Shade wrapper leaf, offering a (not so) surprising level of refined complexity, considering the cigar's modest price point. This is a mild to medium-bodied smoking experience, offering a soft and creamy texture and smooth flavors of buttered crackers, barnyard hay, sweet honey, light cabinet spices, and freshly cut cedar wood. Stock up on this fan-favorite and experience a true classic for yourself!